Auckland Town Hall is a prominent civic landmark of neo-Baroque style. Taking pride of place on Queen Street in Auckland’s CBD, it is known both for its original and ongoing use for administrative functions for Council as well as its famed Great Hall and Concert Chamber. 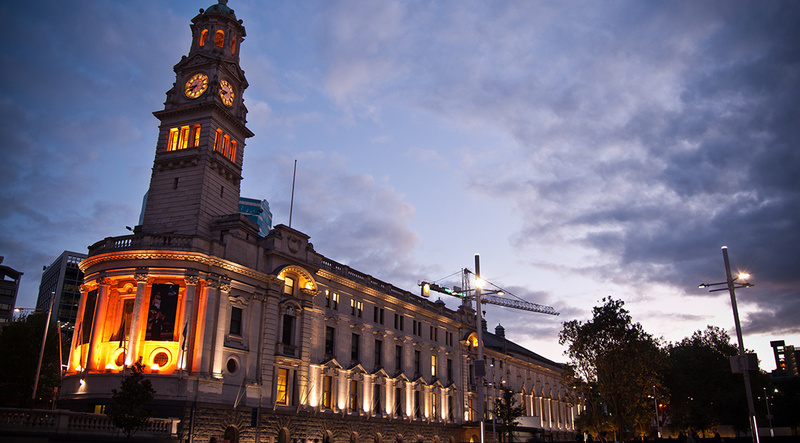 Auckland Town Hall has been at the centre of the city’s political and cultural life since its opening, and over the years has hosted countless significant events and figures. Attractive stained-glass windows, ornate plasterwork and spectacular chandeliers combine to make this a beautiful venue. Click here to read more in depth about accessibility for the Auckland Town Hall.